Carolyn K. “Kay” Thom, 69, of North Milwaukee Street, Port Washington died Monday, March 26, 2012 at Aurora Medical Center, Grafton, Wisconsin. She was born on September 15, 1942, daughter of Lloyd and Marjorie Cox Bryant in Pontiac, Illinois. She moved to Saukville, Wisconsin when she was young, attending local schools and graduated from Port Washington High School. Early on, she worked at the West Bend Company and had lived on East Pier Street, Port Washington for many years. She retired in 2004 from Rockwell Automation/Allen Bradley Corp. in Mequon where she had worked for 18 years and over the years she bartended at various Port Washington establishments. Kay was an active social woman, wonderful and nurturing grandma and stayed in daily contact with her family and friends by phone and online. She enjoyed her annual travels to Vegas with her sister. 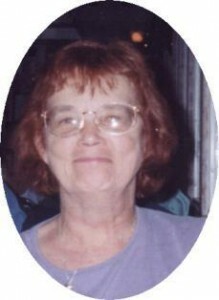 A very creative person, she will be remembered for her jewelry, charms and craft boxes, mini doll houses and gardening. She is survived by her daughter Bonnie Thom of Port Washington, her son Gabe Thom of Central Wisconsin, grandchildren Mitchel Large and Melanie Thom, her sister Shirley (Bruce Markwalter) Dalessio of Ottawa, IL, other relatives and friends. She is preceded in death by her son Tracy Thom and her dear partner Jim Hansen. Family and friends are invited to gather from 1-6PM Saturday, April 7, 2012 at the Van Ells-Schanen American Legion Post 82, 435 N Lake Street, Port Washington to celebrate and share in her life. Memorials in Kay’s name on behalf of her grandchildren are appreciated.